Self-described as "New Zealand's 4th most popular guitar-based digi-bongo a cappella-rap-funk-comedy folk duo," cult favourites Flight of the Conchords haven't been on television since they kiboshed plans for a third season of their HBO series way back in 2009. Now, five whole years later, they've announced that they're returning to the small screen. According to the Guardian [via Consequence of Sound], the duo have signed on to create a new, four-episode comedy series for HBO. The duo's Jemaine Clement is currently promoting his new vampire comedy, What We Do in the Shadows. He explains that the film is the exact reason why Flight of the Conchords haven't appeared on television again just yet. "It was supposed to be this year but then we decided to put What We Do in the Shadows out ourselves," he said. Further, he said the duo are still considering a longer-form project. "We talk about a movie every so often," he added. "Sometimes it feels like we lost a lot of impetus over the last couple of years. But Bret, James [Bobin, lead director] and me, we all want to do a musical. 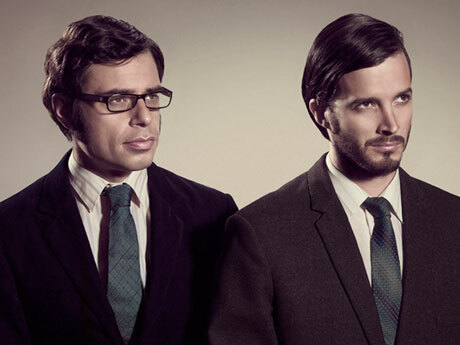 It would be good to do something all together.… I miss playing Flight of the Conchords gigs." In 2012, the duo reunited to release the charity single "Feel Inside (And Stuff Like That)." You can watch the video for the song below.